As an educator and education writer, I’ve developed scores of lesson plans connected to print and digital text. 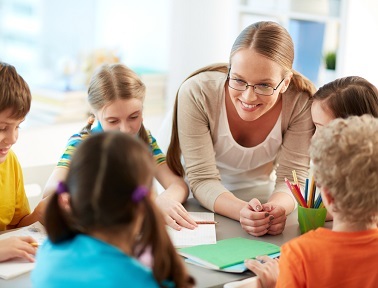 Regardless of the discipline, the plan usually begins with a brief strategy to help students connect what they already know to an aspect of what they’ll be learning; or to browse through the text and make predictions about what they will be learning; or to turn headings into questions, which can be answered as the student reads the lesson. Then students read, discuss, opine, and react to the text. These strategies have a firm footing in learning and reading theory; there’s no doubt about it. Nevertheless, the process places the text—not the student—at the center of the learning experience. The text is what’s real; it is the given. The students, peripheral to the text, compare and contrast their ideas with it. Suppose you plan to have students read Natalie Babbit’s Tuck Everlasting, the story of an unusual family, the Tucks. The novel’s premise, as summarized at goodreads.com, is as follows: “Doomed to – or blessed with – eternal life after drinking from a magic spring, the Tuck family wanders about trying to live as inconspicuously and comfortably as they can. When ten-year-old Winnie Foster stumbles on their secret, the Tucks take her home and explain why living forever at one age is less a blessing that it might seem.” At a point in time, Winnie must choose between a normal life and drinking from the spring so she can remain with Jesse Tuck, who she has grown to love. To flip the experience connected to Tuck Everlasting, you might try something like this: Before jumping into the story after only a brief discussion, present students with a version of the premise and guide an in-depth conversation. Lead students to explore the social and emotional consequences of staying the same age forever. What age would they choose to be? Why? Would they want to keep their situation a secret or tell others? Why? What effect might it have on friendships? How would they feel as friends aged, and they did not? What if they fell in love with someone? Is living forever a good thing? Use probing, follow-up questions to help students imagine and express their feelings about details of what life would be like. Then have them develop their thoughts further in an essay. An in-depth exploration, such as the one described above, puts students in the center of the experience. Their ideas are the given. Then, as they read and discuss the story, they contrast the characters’ ideas with their own, not the other way around. Certainly, in the process, students’ ideas may evolve, and that’s all to the good. The approach need not be limited to literature. The world is, and always has been, full of conflicts—local, regional, national, and global. No matter how complex on the surface, most conflicts come down to issues of power, control, influence, greed, and acceptance or some combination of factors like these. Conflicts between and among individuals—including our students—are very much the same. We can use this congruity to flip the learning experience. Consider the Revolutionary War. Instead of beginning a unit of study with a narrative timeline of the conflict, you can begin with the essence of the conflict itself—control (or however you see it). Go there with students: Have they ever felt as if someone were trying to control them? If so, why? How was control exerted? How did it feel? What did they do in response? Take it from the other side. Have students ever tried to control someone else? Why? How? What’s good about being in control? About being controlled? What’s bad about it? The point here is to make the discussion personal, though not intrusive of course. At this point students have a cognitive, social, and emotional context for their study of the War. As a result, they will be integrating information into a frame of reference they have developed by exploring their own thinking. Again, their ideas are at the center, providing “hooks” on which they can hang all kinds of new information. Whether it’s historical events, a novel, or Russia’s moves in the Ukraine, the challenge for us as teachers is to look deeply into the topic, extract the fully human conflict at its core, guide students to explore that conflict, and then use their own exploration as a frame of reference for learning. That’s putting students at the center of the learning process.